St. Maria Goretti was killed by Alessandro Serenelli on 5th July 1902. “The next morning people in the village of Corinaldo witnessed what could only happen among the poor of Christ. 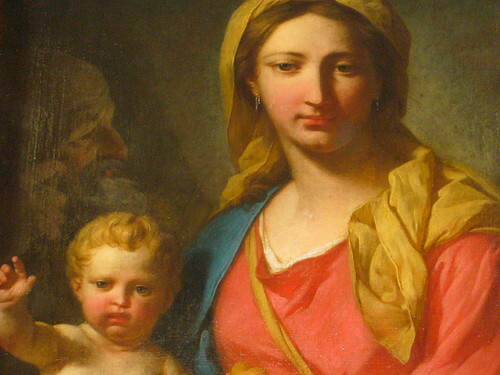 Assunta Goretti, Maria Goretti’s mother, with head held high and tears falling, took Alessandro Serenelli by the hand as a mother takes a son, and led him to Mass. At the altar rail side by side, she and he – he who had killed her daughter- raised their open mouths to partake of the flesh and blood of Jesus.” (DiDonato, pages 142-146) From that time he was welcomed in that profoundly Christian family of the Gorettis as “Uncle Alessandro”. Alessandro would testify at length at the canonical process for the beatification of Maria Goretti – the only witness who could detail what had actually happened in a brutal murder. He died at the age of 89 after a long life of prayer and penance in expiation of his crime, always invoking the intercession of St. Maria Goretti as his “protector”.